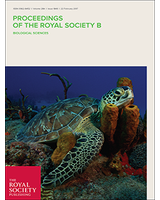 Drastic biodiversity declines have raised concerns about the deterioration of ecosystem functions and have motivated much recent research on the relationship between species diversity and ecosystem functioning. A functional trait framework has been proposed to improve the mechanistic understanding of this relationship, but this has rarely been tested for organisms other than plants. We analysed eight datasets, including five animal groups, to examine how well a trait-based approach, compared with a more traditional taxonomic approach, predicts seven ecosystem functions below- and above-ground. Trait-based indices consistently provided greater explanatory power than species richness or abundance. The frequency distributions of single or multiple traits in the community were the best predictors of ecosystem functioning. This implies that the ecosystem functions we investigated were underpinned by the combination of trait identities (i.e. single-trait indices) and trait complementarity (i.e. multi-trait indices) in the communities. Our study provides new insights into the general mechanisms that link biodiversity to ecosystem functioning in natural animal communities and suggests that the observed responses were due to the identity and dominance patterns of the trait composition rather than the number or abundance of species per se.